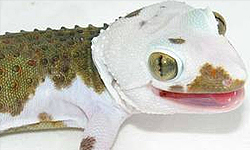 The New Caledonian crested gecko or eyelash gecko (Correlophus ciliatus) is a species of gecko native to southern New Caledonia. 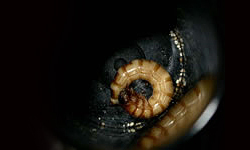 This species was thought extinct until it was rediscovered on an private expedition by Robert Seipp and Friedrich Wilhelm Henkle in 1994. 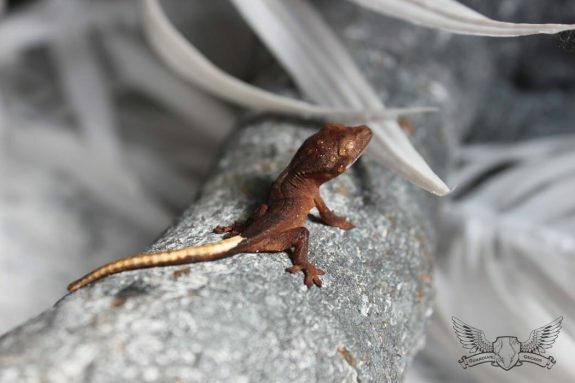 Though the export of wild crested geckos is now prohibited, biologists like Seipp and Henkle exported several specimens for study before New Caledonia stopped issuing permits to export the species. From these specimens, different breeding lines were established both in Europe and the United States. 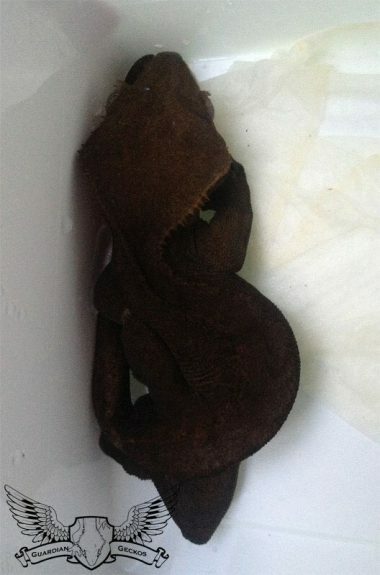 Crested geckos are currently being assessed for CITES protection and vulnerable status. 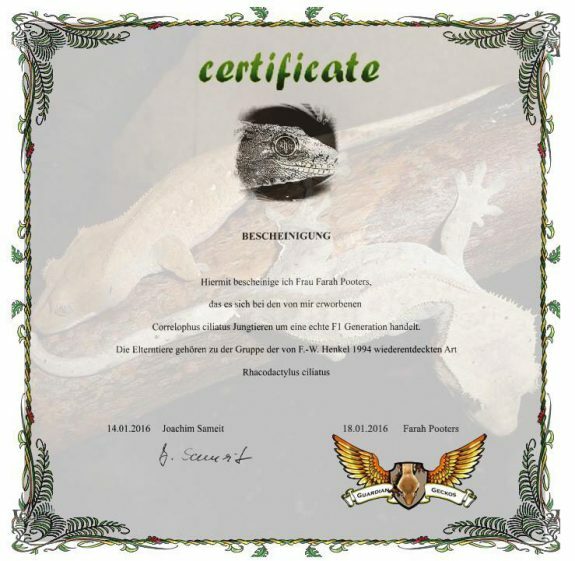 Here at Guardian Geckos in Belgium I breed Crested geckos among other reptiles. Now I have a great collection of high-end animals from across the world, great European lines and great American lines. 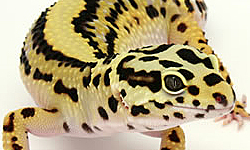 I also made some wonderful friends in the Reptile community as we daily share information and thoughts. I absolutely love the scene. 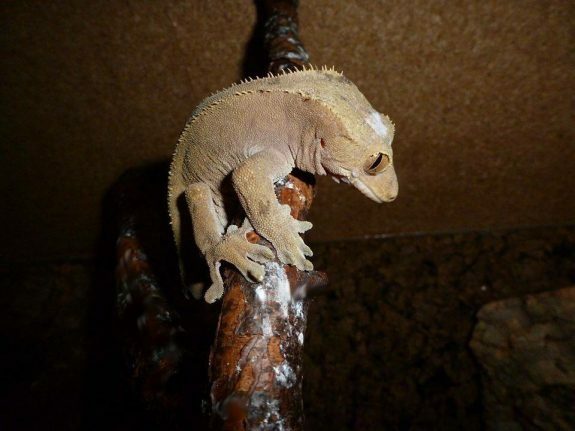 As I spoke with so many people on the reptile scene I stumbled upon a picture of a tailless patternless brownish crested gecko. It looked plain and simple, until I read the text underneath it saying “Wild Caught”. I was instantly fascinated. This made me think about the natural origin of the Crested Gecko and where it all began. After more investigation I found a person who actually had Wild Caught animals. After long talks with him he told me how these animals got into his hands. He got the animals from Friedrich-Wilhelm Henkel’s personal collection! As Henkel became less active in the reptile scene, he gave his collection to someone who was still very much into observing these great animals. I waited patiently for a long time until I finally was able to obtain 2 offspring of some of these Wild Caught animals who are by now near retiring from breeding. These two unrelated F1 offspring that I have, who have been paired for the last 2 years, have both WC mother and father on both sides, so they are as pure as they can get. 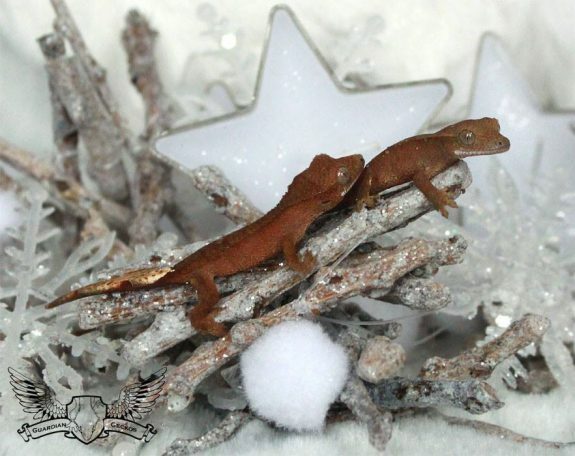 Out of this gene pool all the other crested gecko morphs that we know now have descended. My F1 animals are authenticated “Pure Blood” animals , untouched by human-made design. I named this line “Pure Bloods” because that’s what they are: they are pure genes from Wild Caught animals, so I didn’t see the need to make up a name for it. I’m very honored that I’ve gotten the chance to do this. With this project I’m trying to uphold and keep the rare and pure gene pool alive because they are so unique, but I will also later on start mixing pure genes with my own line, to see what that will produce. You never know! I do release some babies from my F1 pair now and then so it’s an interesting opportunity for anyone breeding Crested geckos. You can have something unique in your collection or if you want to freshen up your own gene pool this is a great way to do so by inserting the “Pure Blood” gene into your own lines. Very cool! I’ve always wondered about the whole “rediscovered” thing. I’m thinking maybe because no one was looking for them that they were never seen and therefore considered “extinct” until they went to NC looking for them. Interesting nonetheless.